What Is the Role of the Imam in Islam? What does an Imam do? The Imam leads Islamic prayer and services but may also take on a larger role in providing community support and spiritual advice. An Imam is selected at the community level. Members of the community choose someone who is considered knowledgeable and wise. The Imam should know and understand the Quran, and be able to recite it correctly and beautifully. The Imam is a respected member of the community. In some communities, an Imam may be specifically recruited and hired and may have undergone some special training. In other (smaller) cities, Imams are often chosen from among the existing members of the Muslim community. There is no universal governing body to supervise Imams; this is done at the community level. The primary responsibility of an Imam is to lead Islamic worship services. In fact, the word "imam" itself means "to stand in front of" in Arabic, referring to the placement of the Imam in front of the worshipers during prayer. The Imam recites the verses and words of prayer, either aloud or silently depending on the prayer, and the people follow his movements. During the service, he stands facing away from the worshipers, toward the direction of Mecca. For each of the five daily prayers, the Imam is present at the mosque to lead the prayers. On Friday, the imam also usually delivers the khutba (sermon). The Imam may also lead the taraweeh (nightly prayers during Ramadan), either alone or with a partner to share the duty. The Imam also leads all other special prayers, such as for funerals, for rain, during an eclipse, and more. In addition to being a prayer leader, the Imam may also serve as a member of the larger leadership team in a Muslim community. As a respected member of the community, the Imam's counseling may be sought in personal or religious matters. One may ask him for spiritual advice, help with a family issue, or in other times of need. The Imam may be involved in visiting the sick, engaging in interfaith service programs, officiating marriages, and organizing educational gatherings in the mosque. In modern times, the Imam is increasingly in a position to educate and reform youth away from radical or extremist viewpoints. Imams reach out to youth, inspire them in peaceful pursuits, and teach them the correct understanding of Islam—in the hopes that they will not fall prey to misguided teachings and resort to violence. There is no official clergy in Islam. 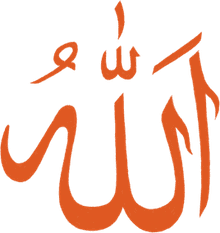 Muslims believe in a direct connection with the Almighty, without the need of an intercessor. The Imam is simply a leadership position, for which someone is hired or selected from among the community members. A full-time Imam may undergo special training, but this is not required. The word "Imam" can also be used in a broader sense, referring to any person who leads the prayer. So in a group of young people, for example, one of them may volunteer or be selected to be the Imam for that prayer (meaning that he or she will lead the others in prayer). In the home, a family member serves as the Imam if they pray together. This honor is usually given to an older family member but sometimes is given to younger children to encourage them in their spiritual growth. Among Shia Muslims, the concept of an Imam takes on a more central clerical position. They believe that their specific Imams were chosen by God to be perfect examples for the faithful. They must be followed since they were appointed by God and are free from sin. This belief is rejected by the majority of Muslims (Sunni). At the community level, all Imams are men. When a group of women is praying without men present, however, a woman may serve as the Imam of that prayer. Groups of men, or mixed groups of men and women, must be led by a male imam.